Langley-Barfold Fire Brigade president Ian DeLacy and captain Ian Lonsdale at the damaged station roller door following the April break-in. Langley-Barfold Fire Brigade volunteers are appealing for community assistance to replace their stolen support vehicle. 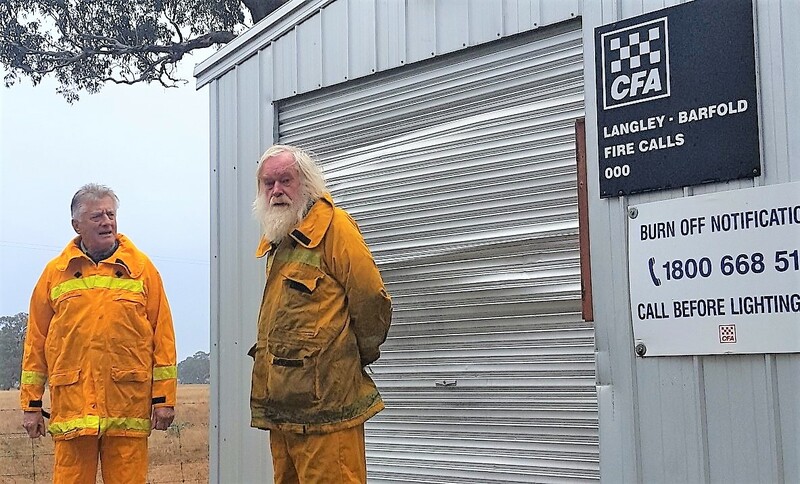 The Ford Ranger was found torched near Lake Eppalock in April and now the brigade is faced with the challenge of replacing the vehicle and having it fully functional before the next fire season. Brigade captain Ian Lonsdale said the Ranger, equipped with a high-powered quick fill pump, drastically improved efficiency on the fireground through refill of tankers. 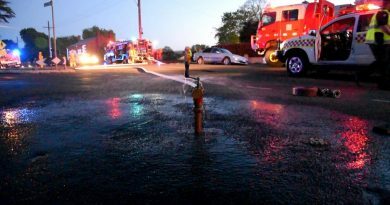 “Without this support vehicle and its quick fill pump facility our brigade’s ability to fight fires in our district would be severely impacted,” Mr Lonsdale said. To be prepared for the summer, brigade president Ian DeLacy said the brigade would need to find additional funds to replace the vehicle in a short period. “Our initial assessment is that the replacement vehicle will cost considerably more than the expected insurance recovery,” Mr DeLacy said. 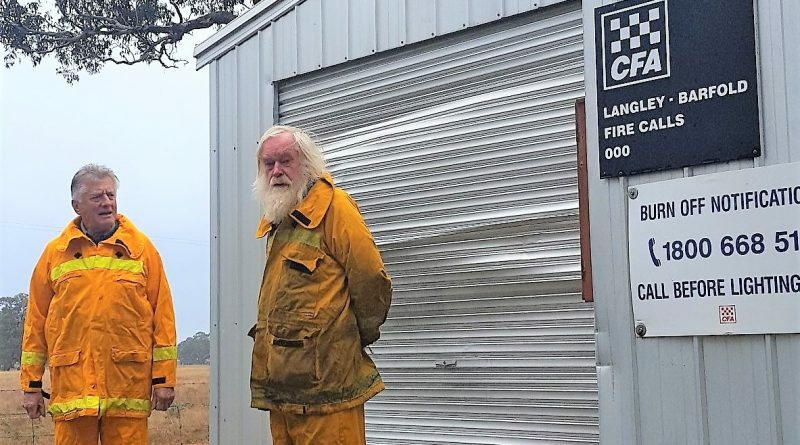 The fire station was targeted by thieves in a separate incident in early February when tools and equipment were stolen including chainsaws, a pole saw and batteries. The brigade is now appealing for financial support from the community. Donations to the CFA in excess of $2 are fully tax deductible and official receipts will be issued for tax purposes. Brigade secretary/treasurer Kent Griffin can be reached via email: kent.griffin@mac.com or post at: PO Box 285, Kyneton. Police are still investigating the vehicle theft. Anyone with information is asked to contact Crime Stoppers or Kyneton Police. 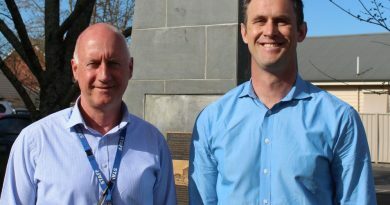 Detective Leading Senior Constable Glenn Johnston and Detective Leading Senior Constable Wade Andrews of the Macedon Ranges Crime Investigation Unit have received commendations for their investigation of the escape of inmates from the Malmsbury Youth Justice Centre in January last year. 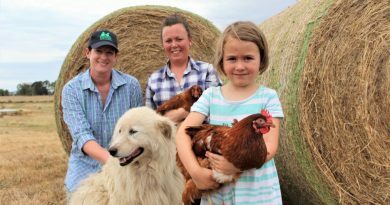 This Farm Needs a Farmer founder Melissa Connors is pictured with The Good Life Farm Co's Claire Moore who will be exhibiting of the day and her daughter Freya Fogarty and Luca their maremma.